Ever Have One of Those Days? Weeks? Months? So, Book 7 THE RUBY OF SIAM was supposed to be launching by today, July 1st. "So where is it?" You may ask. The answer? Lying in chapter piles on my dining room table with little yellow sticky notes telling me how many comments from my editor need addressing. One chapter has 20! Egad! My editor is one of those cerebral writers who's in love with language and envisions herself as an artist with words. And yes, she is a wonderful writer. But me? I just want to TELL THE STORY! Except there's more to it than that. First, an author has to 'show' readers what's happening. We must 'show' characters because otherwise you the reader will have no idea who they are! Not as easy as it sounds. Especially when I just want to TELL THE STORY! "Patience." My editor says. "Give us an image here of what we're seeing." But I just told you what you're seeing! So, I take a chapter, run through the suggestions and rewrite the paragraph. Unless you're an author you have no idea how long this takes. And guess what? It has to be done otherwise you'll always know in your heart IT COULD HAVE BEEN BETTER! Not only am I trying to launch THE RUBY OF SIAM but I'm going back and improving the first six books. Editor number three is the killer-diller with mileage in the writing business and a Chicago Style Handbook at her fingertips. She also doesn't allow me to get away with anything like mixing point of view or extra commas. Nope! And now it's another Monday. I have six books to print off for editor number three to proofread, a Meet the Author Event at the library to see to for July 13th (my birthday), homework for editor number two's writing class on Diving into Character, and collecting goodies for Camp Grandma I'm doing for a week with my two granddaughters in California week after next. Sigh. Not to mention ramrodding two more Meet the Author Events for fall. Time to Relax, Have Fun, and Learn! Wow! The weekend is here again. Sure I'm going to relax a little, like always. I'll sleep in, linger on the porch with my coffee, and play a few games of Rummikub. Saturday afternoon, however, I'll attend a writing class on Character Creation, given by talented creative writing major, Jennifer Steen. Jenny has published short stories, formed a publishing company called Inkception Books, and written a play for a performance in Scotland this summer. Yes, she's a dynamo and plenty of fun. She's also a member of our Leander Writer's Guild, which met last Tuesday evening. I can't say enough good things about being an integral part of our local writing community. I want to thank all of you for reading my books. Sales have soared since I've offered Book 1 for free on all platforms. 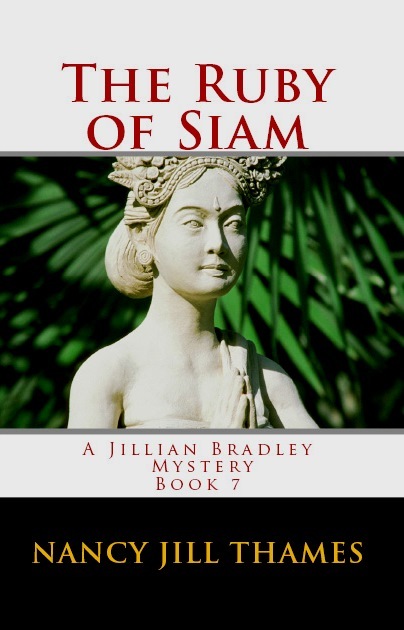 Book 7 "The Ruby of Siam" is on it's final rewrite and should launch within the next two weeks. If you're interested in the news about Paula Deen, you may want to hop over to Cozy Mystery Magazine and check out the post I wrote. I do feel sorry for her and for the pain racism still causes. Our twin grandsons turned five this month. I can't believe they were babies such a short time ago - seems like you blink and five years whiz past! Four years ago, I sat down and decided to write The Jillian Bradley Mystery Series - eight books in all with a plan to launch a book every six months.I actually published right on schedule up until Book 8. We'll see how things go for the last six months of 2013. One of the challenges as an indie author is getting the books error free. I can't begin to tell you how many times I've had to go back and make corrections due to one issue or another. The good thing is though, as the responsible party, I can improve my work as I go. I wanted to thank all of you readers for bearing with the changes I've had to make along the way. 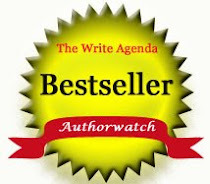 My goal is to publish the best books possible for your entertainment pleasure. 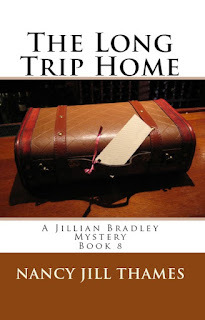 With THE RUBY OF SIAM so close to launch (I'm getting it back from my editor and doing the rewrite this week), I knew I had to include the promo for the final book - THE LONG TRIP HOME. Checking the photos from CreateSpace, I found what I consider the perfect image for Book 8. Now I'm fired up to begin writing the last chapter of Jillian's life. Of course, I've been asked by fans to leave the door open for more books, but eight seems like a good round number. 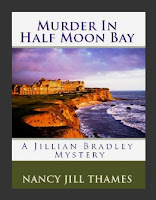 If you haven't started reading the series yet, please be my guest and enjoy Book 1 MURDER IN HALF MOON BAY as an ebook for free! Then you'll begin to understand the phrase "GO JILLIAN AND TEDDY!" While I wait for my editor to return my manuscript for Book 7 THE RUBY OF SIAM, this weekend my hubby and I will be celebrating our 45th anniversary early, since he's out of town next weekend. We live in an awesome destination point, so we'll stay downtown Austin and dine at Truluck's - a restaurant that reminds me of one you'd find in downtown New York or Manhattan. The weather will be warm, so on Saturday, we just plan to have brunch at the South Congress Cafe and take in a movie at a dinner theater later. I'm good with that! What a blessing to have been married all these years to the most wonderful man I know. I hope you have a nice weekend planned - relax, have fun, rest, and if you're a believer - I'll be joining you in worship and praise. This was a good mystery. Her family for Christmas, a blackout, a murder and an old love calls her out of the blue. What a dilemma she has. Two men who love her. Now that's a dilemma all women of her age should have. It was an enjoyable read. While she is expecting them both to propose, she is trying to help Walter to solve the crime. 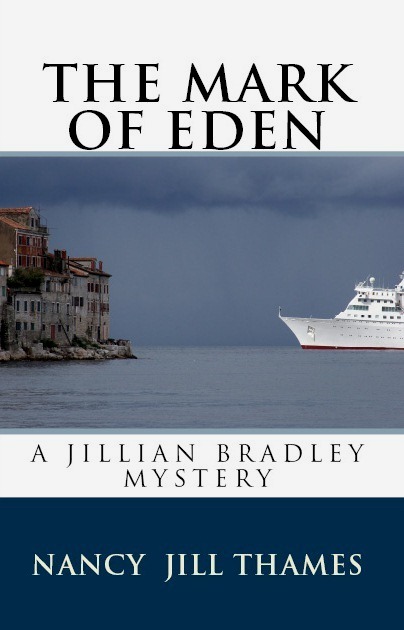 We can only look forward to the next Jillian Bradley mystery, since this one ended with TO BE CONTINUED. 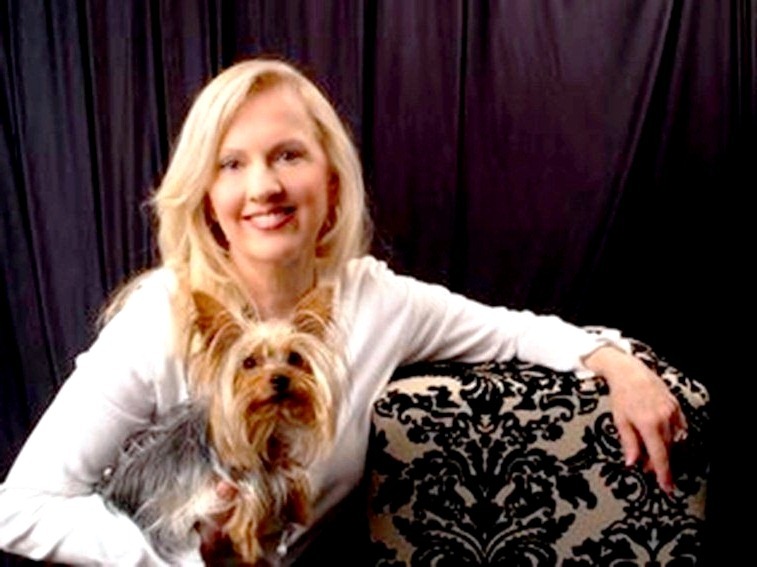 Nancy Jill Thames knows how to keep her novels clean and yet entertaining and if you are a dog lover you'll enjoy Teddy's escapades. I enjoyed the 4th book in the Jillian Bradley Mystery Series. It was suspenseful and entertaining at the same time. She does, however, go a little overboard on her dog "Teddy" but as she said he is like her child. Even though I had an inkling who the murderer was, I never guessed how it was being done or why. He was a genius but had slipped over the line between genius and insanity. Generally after a few books in a series, a writer can get repetitive and boring but all these stories are different. Maybe she mAy reflect on something that had happened the last time they were together or in a tight spot but not enough to get annoying. I think they are finally getting their proofreading problems fixed. Maybe the next book will be totally without errors. These books are great. Wonderful reading. 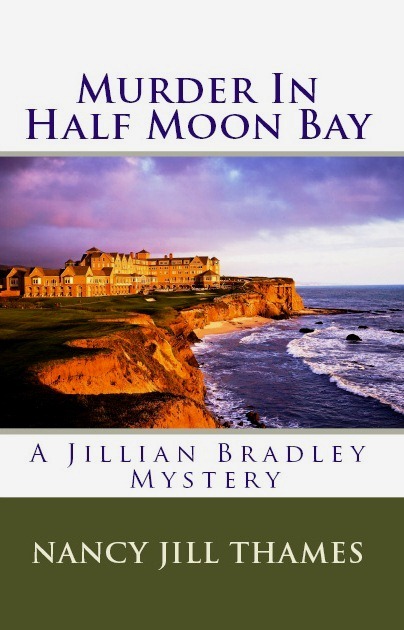 Great characters and beautiful Half Moon Bay. I spent a number of years taking my dogs to that very special beach. Lots of twists and turns. Looking forward to the next book. Interesting place. A lovely place to spend the weekend. After being disappointed with her second novel in this series, I was hesitant about buying this book. I am glad that I did. It was Jillian at her best. She has a lot of heart and cares about others. She is not afraid to go where she needs in order to find the answer to a mystery. Her dog "Teddy is a remarkable animal and for a Yorkie very fearless. Even her friend Ann (from the first book) was back. I thought they had the proofreading thing straightened out until the end. The last chapter was repeated. Oh well, at least it wasn't throughout the entire book. This is a good book to take to the beach. It moves along very well and is not too much to think about. Quite entertaining. This was an enjoyable read. Nothing too challenging in plot, but a pleasant book nonetheless. I do like the locations she chooses for this series. Just finished reading this book. It was a page turner until the very end. 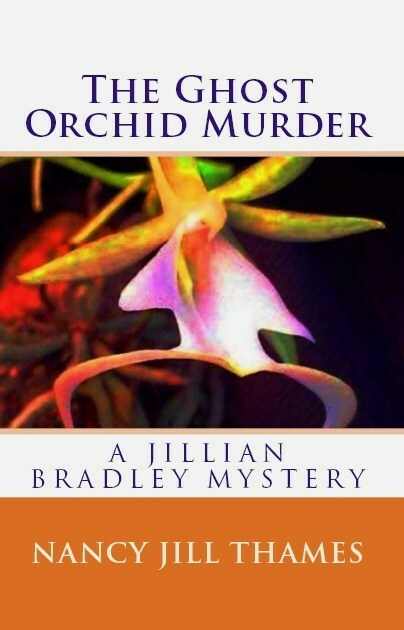 In this book, Jillian, her three garden club friends and her dog Teddy, help the Chief find the murderer. At times you couldn't tell who was really in charge of the investigation but unlike other Police Chiefs, this one took it in stride. If Jillian and her friends weren't sleuthing they were eating. This was a good read. Looking forward to reading the next mystery. This is the first time I have read any Nancy Jill Thames writings. Thoroughly enjoyable. She holds your attention and your interest with the twists and turns,makes it hard to put down . Jillian Bradley truly comes to life with her partner (and adorable dog) Teddy. The descriptions of the areas and people makes them all real. I just loved this book, the characters came to life for me. I have never been one for a lot of fiction, but this author is fantastic, so much I have purchased the rest in the series and plan to enjoy early nights, tucked up warm in bed, with my 4 dogs, reading! Sounded a lot like Jessica Fletcher mysteries. Never did find out how old she was though. Had a lot of help from other people to solve the case and got into a little trouble along the way. A little gossip hurts no one. Or does it? Old friends provide insights that we have learned to respect. Never underestimate the power of inquiring minds. Working together provides amazing results. I love this book. I like the way it mystery all comes together at the end - It's the kind of book you can sit and read and get lost in the story. Love little Teddy. Jillian Bradley, the heroine in the Series, becomes guardian to a young teen after an accident leaves him with amnesia and his female companion dead. An implanted chip in the young man pushes Jillian to discover who her houseguest is and why no one has filed a missing person's report. Plenty of rest is prescribed for Luke, the temporary name given the young man and with around the clock nursing, Jillian is given the freedom to put her listening ear to good use. A fun cozy mystery, I highly recommend this book. I just stopped by to say thank you for the free book, which I downloaded ages ago. Sorry for the delay, but I had a ton of books to read, and now I have a chance to post reviews. I felt like I was part of the story - that's how engrossed I got. I like the relationship Jillian has with the cop guy. 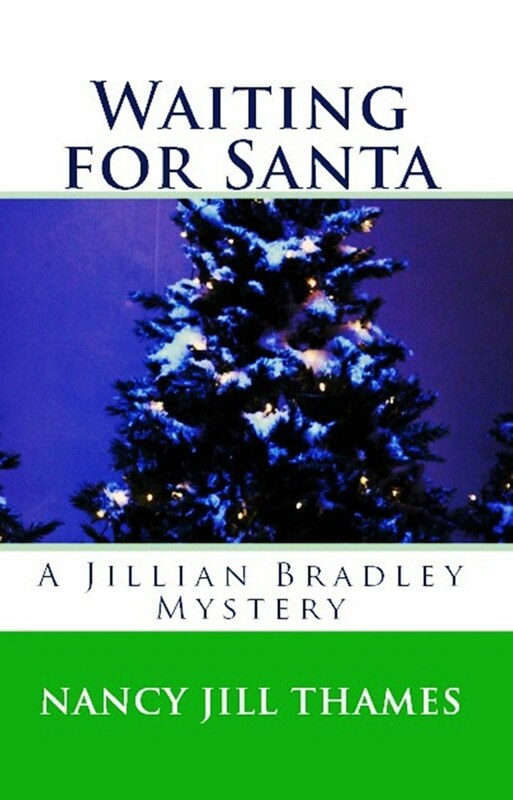 Jillian rings in the Christmas season with her friends Walter and Cecelia and extended family, but the real mystery lies in Jillian's quest for romance. I can hardly wait to see what comes next for Jillian in the next novel, Ruby of Siam. The murder mystery is well thought out and packs a punch when you realize who the murderer is! I enjoyed this book and finished it in a day. It is a good clean book with a good story line. Nancy Thames is a great author and I will be reading more of her books. I loved this story!! Kept me reading well into the night. Thanks for the great read, why is the only book on smashwords???? I loved the nosy Jillian and her friends. The setting was beautiful as I have been there many times. Teddy just loved!!! Again what a great read!! Jillian and her three collaborators in the Garden Club head off for a conference in a swanky hotel. Even though I've been to conferences in swanky hotels, it felt very alien to my lifestyle, but I suspect some of my friends would be far more at home with the setting. It gave me the impression of a Californian version of Dallas. There were a lot of people introduced to me very fast, and who was with whom didn't really settle in my brain till quite late into the book, after one or two had been murdered! I think this may have been my post-Christmas disorientation, but sometimes I felt Jillian's conversations, especially with suspects, to be very short. Would these people really give her intimate details with clues so that she could solve the crime in such a short exchange? But from these comments you can tell a number of things (I hope). Jillian gets you involved in her world. The author does a great job in drawing you in to the plot and to some of the people. The setting is described beautifully and the plot itself hangs together extremely well. From something that seemed very light to start with, it gets very deep, and I liked the science link, which was very realistic. It's always good when you can't put a book down after you've passed the halfway point! I'm not sure whether I want to join Jillian in some of her other adventures, I'm not the Miss Marple kind, but I may well give them a go. Partly because Teddy the dog is adorable! An intriguing mystery that kept me guessing until the very end. Her descriptions of the California coastline and beach towns were reminiscent of what I remember from visiting there. I will read all of Nancy Jill Thames stories now. This was a book I had to read straight to the finish without interuptions. It read like history from the East Bay of Central California. I could picture those canyons and trees. Yes, it took place in modern day with the main sleuth I've grown to love, but the story stretched back a century. Even though it took place in her home surroundings instead of a fancy resort, it was none the less satisfying. I have read uncountable mystery stories but this was a very new and unexpected storyline. Great little whodunit! 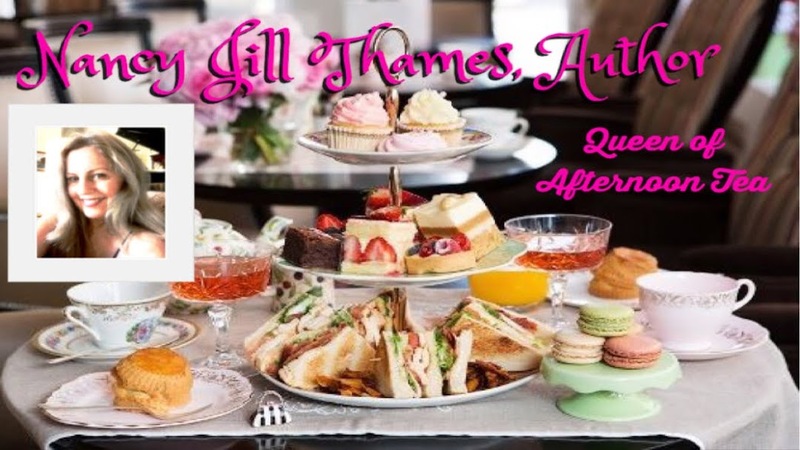 - the suspense begins as soon as you start this adventurous hotel conference meeting and continues as you meet murder and drama down a "garden club" path to determine this puzzling mystery. Despite the serious nature of the plot, Thames manages to intercept moments of "society refinement" and "fun work-getaway time" with plenty of subtle hints to keep you guessing the murder culprit. 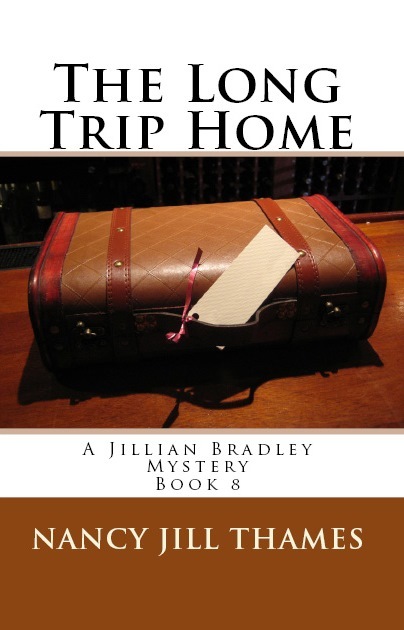 The mix of an exclusive resort combined with the contemporary story line adds up to a time of captivating and fun reading following clever Jillian and her precious little companion/sleuth Yorkie. I can't wait to read the whole series! Apart from the totally unlikely ease with which the protagonist is able to take part in a police investigation (which coming from a criminal justice background I found irritatingly unconvincing, but going with my Agatha Christie-reading background it was acceptable) I enjoyed this story: the characters, plot and setting were nicely developed and the canine character added a bit of fun. (Okay I talk to my dog too.) The plot revolves around a type of threat which is surprisingly rarely dealt with in this genre. As a fan of good cosies, I will look forward to the next in the series. 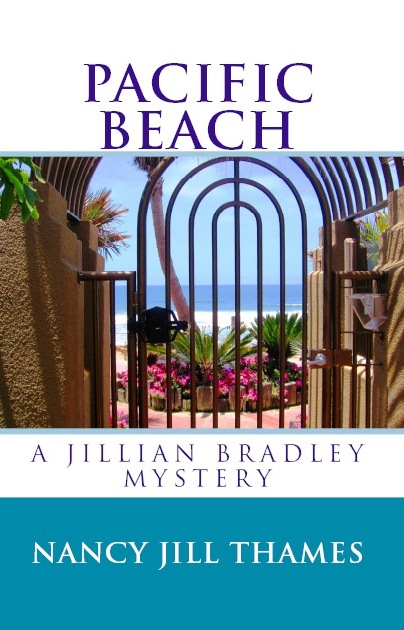 Publisher’s Summary: The quaint surfing town of Pacific Beach becomes a destination for murder when a young starlet and her mother are found brutally murdered at the Pacific Terrace hotel where Jillian’s family reunion is taking place. Their reunion takes a terrifying turn when Jillian’s nephew is arrested as a prime suspect and Jillian must move quickly to find the real killer and prove her nephew’s innocence. There is no shortage of suspects, including an unsavory doctor who attended the popular teen star and a mysterious guest at the party where the starlet dies. But why is her mother murdered with her? 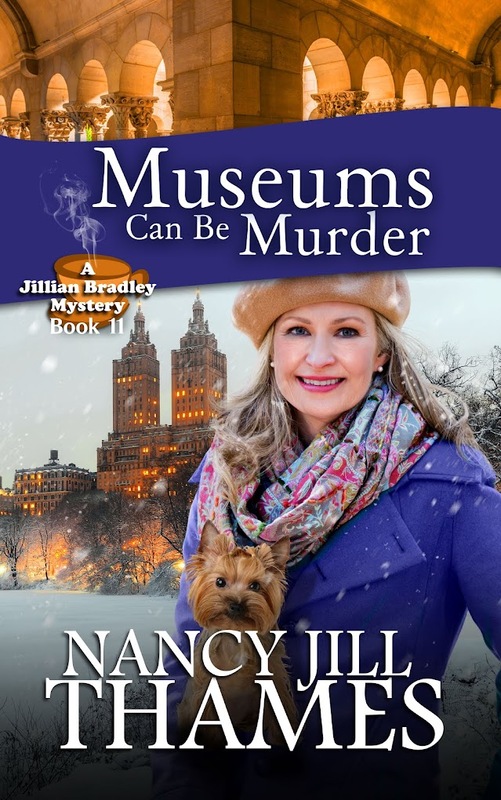 Working at Jillian’s side to find the perpetrator of these bizarre killings are her faithful assistant Cecilia Montoya, and Teddy, Jillian’s Yorkie companion who sniffs out his own clue. Our Review: Pacific Beach is the fifth book in the Jillian Bradley mysteries. 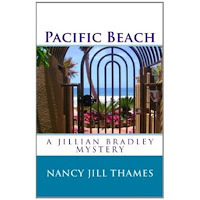 This was my first time reading a book in the Jillian Bradley series, and Nancy Jill Thames does a very good job in detailing the background of Jillian and her family. I definitely didn’t feel like I lost anything by not reading the earlier books in the series. Jillian and her family are headed for Pacific Beach for a family reunion. Staying in the same hotel is a young starlet called Victoria. When Victoria and her mother both turn up dead, the police eye up Jillian’s nephew, Chase, as the number one suspect. It’s up to Jillian to try and clear Chase’s name. I really enjoyed Pacific Beach. The first chapter was very suspenseful and really set the tone for the whole book. I quickly got caught up in the magical, sunny setting where two deadly murders occurred. The mystery itself was excellent. I don’t want to give to much away to anyone wanted to read this book, but I loved how detailed the mystery was and it definitely kept me guessing! Jillian is a little older than most of the sleuths I have been reading lately, and I really liked this fact. She seems like a younger version of Miss Marple. Well if Miss Marple had a cute adorable Yorkie called Teddy! I loved Jillian’s family. The best way to describe them is cozy and tight-knit. At their family reunion they do a family meeting where they all share what has been happening with each of them. I just wanted to be a member of this warm and loving family. This was such a enjoyable mystery, and I am planning to read the earlier books in the series. I found this book catching my eye. Sounds good. I cannot wait to buy and read the rest of it. HAS DONE ANOTHER WONDERFUL JOB OF KEEPING MY INTEREST. PERSON. I WILL BE LOOKING FORWARD TO HER NEXT BOOK. Disclosure: I requested this book of the author and received it as a gift. My review reflects my honest opinion of the work. Here is Amazon's Top Pick! From the first book, I was hooked. Who can imagine a female protagonist-our age-Baby Boomers-who gets into so much trouble? At every turn, Jillian is engrossed in a mystery. Her little friend, Teddy, (whether one likes dogs or not) is another character in this fantastic series. I can't put them down once I begin. I read quickly...then read them again--on my Kindle, of course! 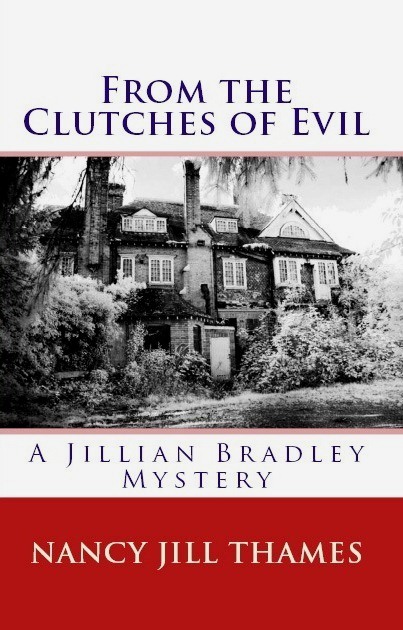 Look what I found on my book "From the Clutches of Evil" this evening: A five star review!! Thank you, dear reader! This is an extremely interesting, well written book. It is free, for the most part, from those maddening and frequent "mistakes" that so many Kindle books are afflicted with. (I wonder if there was actually a PROOFREADER???!!!) Tightly written, without a lot of unnecessary and distracting "filler" thrown in. A good plot, realistic characters that one can care about, and straightforward writing, all combine to make this an outstanding read. Congratulations, Ms Thames. I'll have to go back and read your other books. This was the first one I'd come across! As always this book is as good if not better than her past ones. I don't read that much. A must have. A book you'll want to share with others. Interesting characters, surprising plot twists, and a fun read. 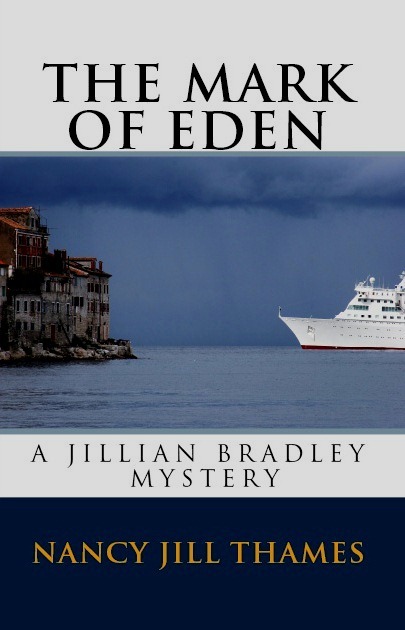 If this is the first Jillian Bradley book you've read, you'll want to go back and read the earlier volumes and you 'll eagerly await the next! Great entertainment. I had to read all the way to the end, and seriously, I'm not even a huge mystery fanatic. I suppose I do like social drama...so perhaps that was the catch for me. I enjoy mysteries that explore different expertises and subcultures. This one was nice because I'd read the "Orchid Thief" book, so I had some background on it that was really good. This book built on the knowledge I already had and gained some great characters. I'd recommend it as a book to read for fun and to explore a gardening world. Oh, also, I had not read the first book and that wasn't a problem. Recommended read. 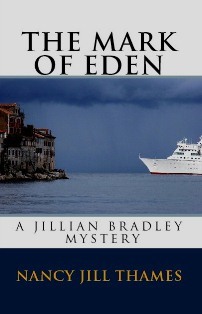 After downloading this to my Kindle, I relaxed by the pool and spent a very enjoyable afternoon with this mystery. I will be downloading her second book tomorrow and plan on reading it right away. Newlyweds, Walter and Cecilia Montoya are on their honeymoon, but Cecilia grows increasingly concerned when she is unable to contact her widowed father. Then, there is the seemingly natural deaths of 2 elderly men...yet something just does not add up. Certain items are out of place...and just what is the meaning of the curious looking tattoos? Detective Walter Montoya, Jr., returns home in hopes of discovering the whereabouts of his missing father-in-law, but company procedure will not let him due to conflict of interest. 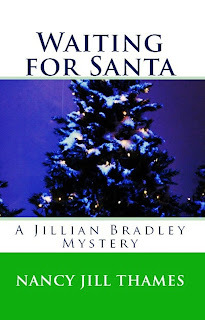 Longtime friend, Jillian Bradley, is called in to help solve this mystery. 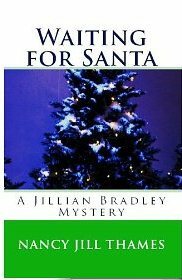 Jillian and her faithful dog, Teddy, along with family and friends of the victims join forces to work through the clues until this puzzle is solved. The race to find Cecilia's dad before it is too late makes this an intensely makes this a nonstop adventure. This was an enjoyable read, and also one that highlighted some of the topics that can affect those who are growing older and alone. While I do wish I had read the previous 3 novels in this series first, it is not necessary to sort out who the various characters are. Enough background detail is provided to sort them out and their relationship to one another without people who are familiar with them getting bored with a game of catch-up. I thought there were some unusual twists along the way and it did keep my interest. This cozy murder mystery story is perfect for reading these stories to relax. Teddy reminded me of my dog. The author kept the plot moving with very good construction.I would definitly read another. I read the book on my kindle which was great. However, the continual use of quotation marks in place of commas and apostrophes was bothersome. Probably, it was not the author's fault. I love the book. I read her first book and loved it also. Can't wait for more to come. Again this young lady has done a wonder, outstanding, great, or any other word that is great. I won't be surprised if Hollywood doesn't call and have her write the screen plays for her books. This author keeps you interested and on the edge of your seat. I haven't finished the third book yet, but will, just want people to know how good it is so far. Just like the other book of hers.